Honourary minister of road transport, Nitin Gadkari, had a horrible firsthand experience of a gigantic traffic gridlock on the all important NH-24 which connects Delhi with Noida and Ghaziabad, something which Lakhs of commuters face each and every day. The minister has thus rightly promised to widen this overcrowded stretch up to Dasna, into a state of the art 14-lane highway, maximum by the end of this calendar year in a bid to decongest the crucial corridor. Mr. Gadkari had visited the renowned Indian Academy of Highway Engineers (IAHE) in order to attend a conference when he unfortunately took the dreaded stretch of NH-24 for the very first time in his life and personally witnessed the pain and horror which commuters encounter at this corridor every single day. Thus the proposal to widen NH 24 into a world class 14 lanes wide structure came into existence and the vibrant NHAI has strategically prepared it. The authority is all set to take the proposal up as an integral part of the crucial Delhi-Meerut Expressway package. The project bids for widening this important 20km long stretch between Dasna and Delhi will be rolled out immediately in the coming few months. According to the plan, there will be tolled lanes for commuters who are willing to shell out money for a hassle free smooth ride. While local traffic will not have to pay any toll whatsoever. The cost of construction this time around is predicted to be quite less since the cement companies have offered to provide cement at a substantially lower price. The concrete road will not need any repairs for years to come and thus the life cycle cost of the proposed project is estimated to be quite less when compared to a conventional bituminous road project. The private developers and highway engineers will also come out with unique new technology which will reduce cost of the project and make them financially sound and viable. Therefore this move by the ministry is all set to extend some much needed relief to motorists and provide a significant stimulus to real estate projects located at the fast emerging NH 24 region. A state of the art residential project which is rapidly creating a buzz and will benefit from the move is Organic Homes, being developed by the renowned Rise Developers. Available in 2, 3 and 4 BHK variants, the residential project is all set to become NCRs most nature friendly and green living space. Each flat in the project will be a recipient of abundance of natural light and air, and living here will feel like sitting in the lap of nature. 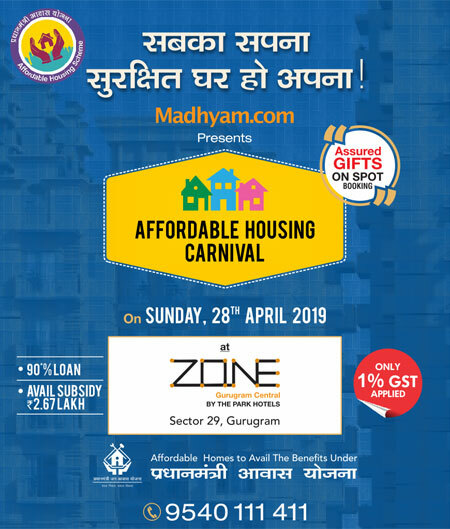 Connectivity will not be an issue either for residents of Organic Homes as it is being built bang on the all important NH24. A plethora of luxurious facilities extended to its residents will make living here feel like a blessing in disguise. So explore the world of Ghaziabad and Organic Homes and join the green and organic revolution today.